Twenty-eight years ago today, to my total surprise, my professional life took a completely different direction. I had spent twenty-one years in the commercial aviation industry, and I enjoyed it. 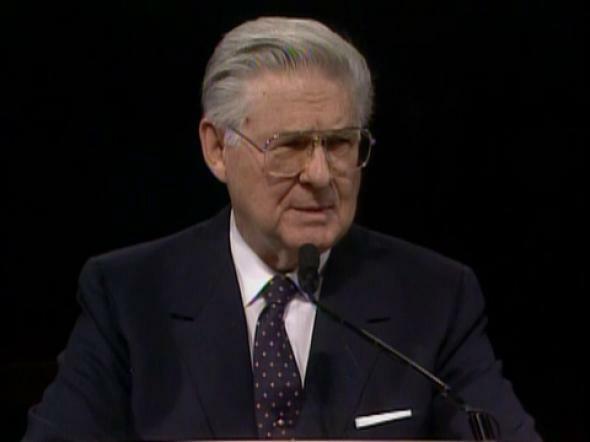 We had just moved into a new home in Chicago when a call came from Church headquarters inviting me to come to Salt Lake City for an interview with President David O. McKay. All my prior plans were discarded as I was called to be a Counselor to the new Presiding Bishop, John H. Vandenberg. 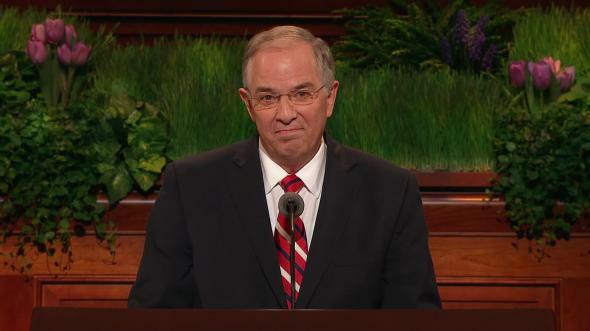 I had never thought nor aspired to become a General Authority, but there was only one answer possible when President McKay, a prophet of God, called me to this work. These twenty-eight years following that experience in October of 1961 have provided opportunities for service I never could have dreamed of. 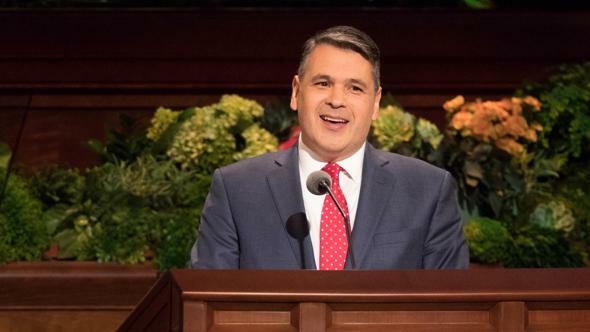 I have been blessed with dedicated associates in many countries and at headquarters who have worked faithfully to help build the kingdom of God, often at great personal sacrifice. I was privileged to serve very closely under four Presidents of the Church—Presidents David O. McKay, Joseph Fielding Smith, Harold B. Lee, and Spencer W. Kimball. 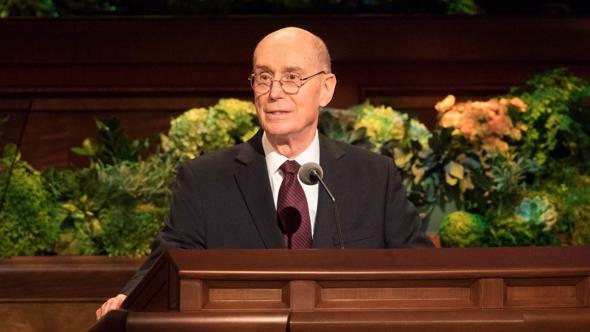 As a member of the Presiding Bishopric for twenty-four years, I sat in weekly meetings with the First Presidency and was privileged to be taught by these prophets of God. Prior to President Ezra Taft Benson’s call to be the President of the Church, I was released from the Presiding Bishopric. 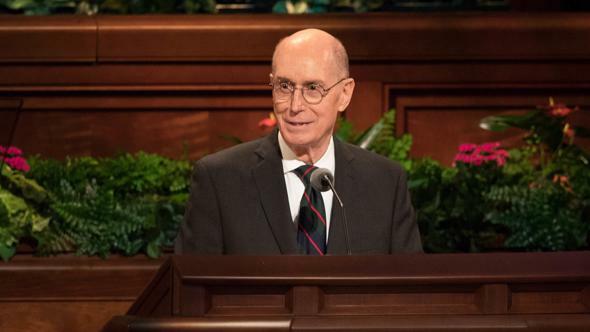 Although I have not had regular opportunities to meet with him, I have appreciated his leadership and have greatly benefited from his challenge to each member of the Church to study and ponder the truths of the Book of Mormon. Each of these five Presidents under whom I have served as a General Authority has had his own personality and style; yet I testify each is a prophet of God. Through my association with them, I have come to understand why we sustain them as prophets, seers, and revelators. 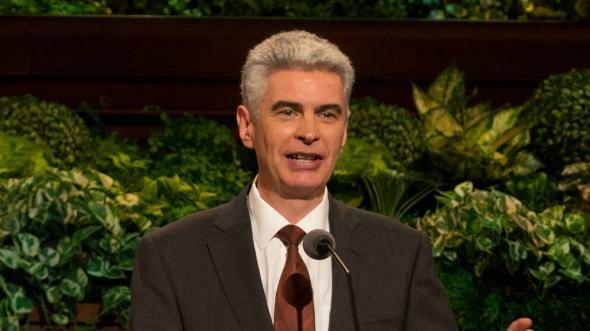 In my experience with these Brethren and with other men and women in many parts of the world, I have found that the measure of a man is not necessarily his title or his position, but rather how he treats others—his peers, his supervisor, the cab driver, or the airline clerk after he has missed an important connecting flight. This is particularly true in how a man treats those closest to him—his wife and children. I once overheard a conversation between two friends of mine who are somewhat older than I and very successful in their professional pursuits. One said to the other, quietly, not realizing I could hear his comment, “You may think you love your wife, but I love Elizabeth twice as much as you do Rachel.” Each had been married over fifty years. Their greatest success, in my opinion, is the love and respect they have for their companions. A fifteen-year-old Korean boy, a teacher in the Aaronic Priesthood, used his allowance each week to buy newspapers. Then he and his friends sold them on street corners in Seoul, giving the money to a classmate who couldn’t remain in school without this financial help. He wanted to know how it felt to be a Good Samaritan rather than just having an intellectual understanding of the lesson he had studied in the scriptures. Another teacher, a fourteen-year-old Tongan boy, had the same faith the Prophet Joseph Smith did at fourteen. He thought, “If, at my age, Joseph Smith could pray to God and get an answer to his prayers, why can’t I?” He prayed that he might somehow obtain an education to prepare him to help his people. The answer came when he received a full scholarship to the Church College of Hawaii without having applied for it. Since then he has used his education to bless his people. An eight-year-old girl, reared in a good home with parents who did not believe in God, on her own initiative learned the Lord’s Prayer and recited that prayer privately every day. Eventually she added her own words and finally began offering her personal prayers to her Heavenly Father. She knew He lived, even though her parents did not. A few days ago I had the honor of officiating at her marriage and sealing in the temple. Her mother was with her—the result of her daughter’s example. A young woman whose understanding of eternal life was far beyond her years said that the only gift she wanted for her twelfth birthday was to be able to go to the temple and be baptized for the dead. These wonderful young Latter-day Saints whom I love very dearly, as I do all young people, are some of my heroes of the past twenty-eight years. They cause me to have great faith in the future even though there is much to concern us today. The capstone of all the experiences I have had in Church service was the blessing of serving in the Salt Lake Temple. There, Sister Brown and I, with the wonderful, devoted temple workers, had the privilege of associating daily with faithful members who came to the house of the Lord to perform sacred service. 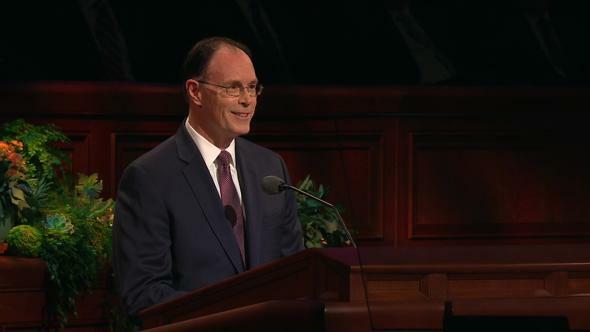 I had always intellectually understood and accepted the purposes and the ordinances of the temple, but now I know to the depths of my being the joyous, peaceful spirit of that service. 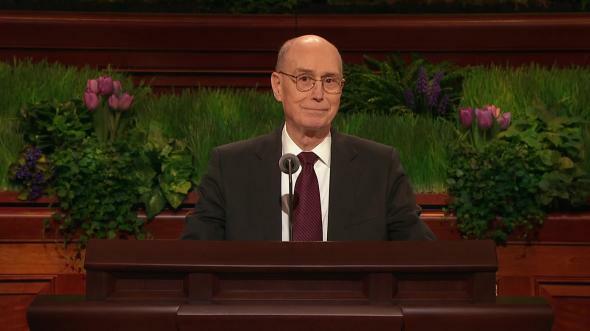 When we go to the temple because we want to go and not because it is an obligation; when we go with an attitude of worship and a reverence for God and for His son Jesus Christ, and with gratitude for the Savior’s sacrifice, when we spend sufficient time to leave the cares of the world outside, wonderful things happen which cannot be described. The Spirit of the Lord distills upon one’s soul in these holy houses, truly the most sacred places on earth. 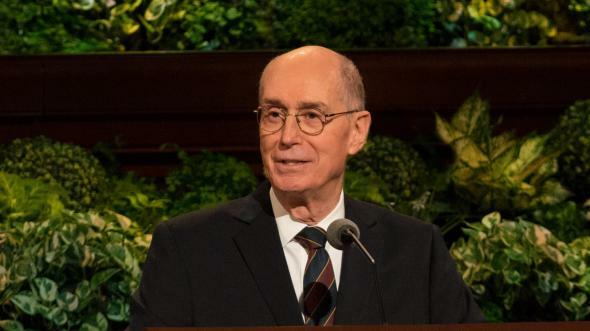 A new perception comes into focus of who we are, of what this life is really about, of the opportunities of eternal life, and of our relationship with the Savior. 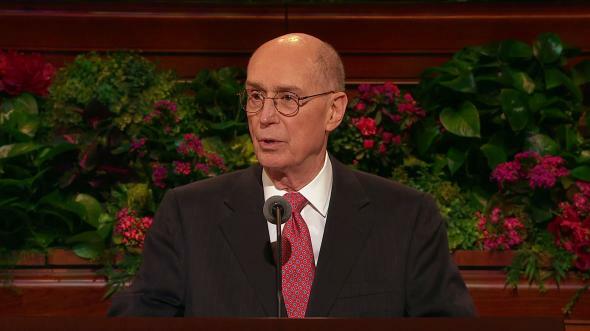 “Doing temple work, especially for your loved ones, is an edifying and spiritual thing. You feel the gospel in action; you feel the love of God and the sense of the wonderful plan He made just for us, His children. The Lord invites all to come unto Christ through the ordinances and covenants of the temple, that we might receive the greatest of all God’s gifts to His children, the blessing of eternal life and exaltation. I bear witness that He lives, that He loves each one of His children—and that means every human being—every man, every woman, every girl, every boy, in the name of Jesus Christ, amen.